Home » actionfest » Oh yeah, a few more photos from ActionFest! 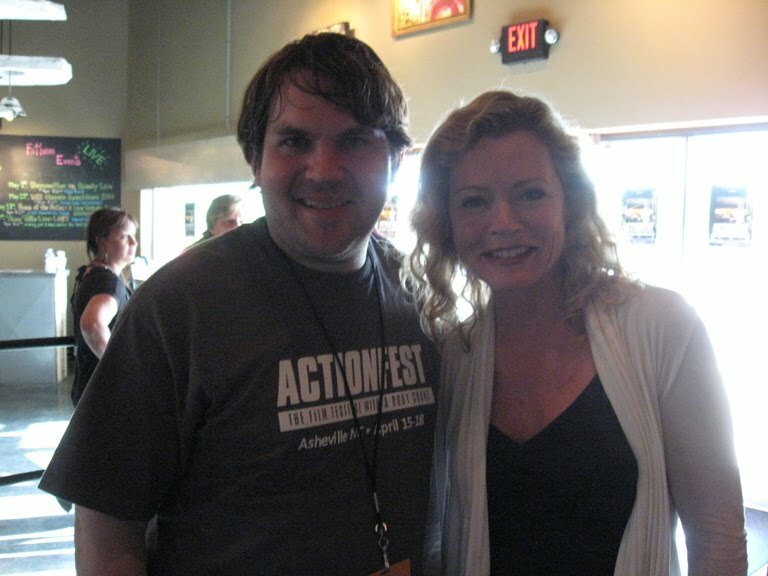 Oh yeah, a few more photos from ActionFest! 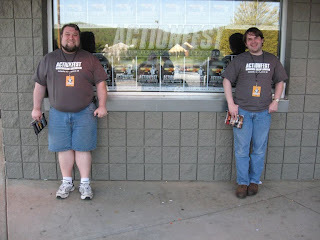 Filmmaking partner "Weird" Ed Woody and I outside the Carolina Cinemas in Asheville, North Carolina at ActionFest this past weekend. 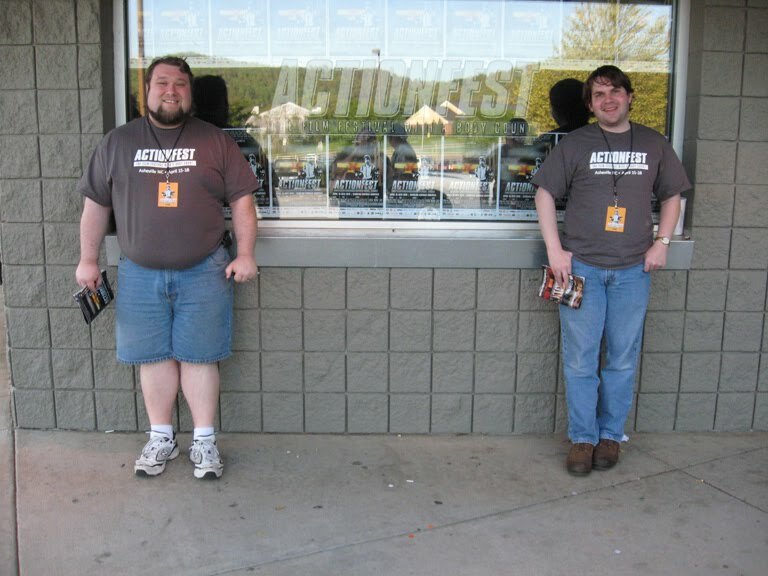 Look at those nifty ActionFest t-shirts! On the back of the shirts has Chuck Norris' classic line from Code of Silence: "When I want your opinion, I'll beat it out of you." For more about ActionFest and what went down there, punch here!